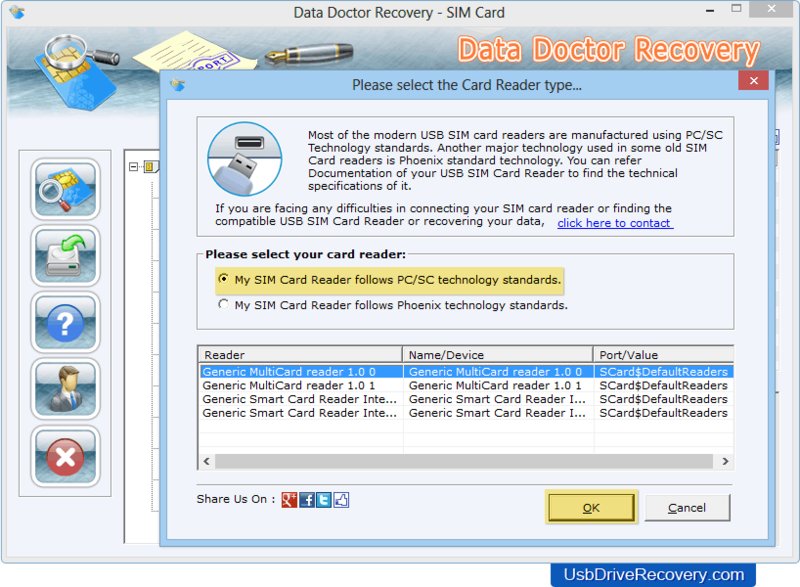 Sim Card Data Recovery Software recovers deleted text messages or stored contact numbers from your mobile phone sim card. 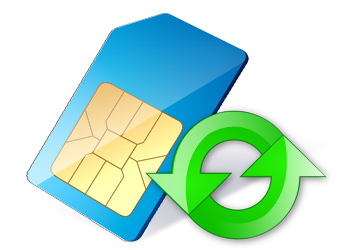 Software supports all popular 3G/GSM technology based mobile phone sim card to restore lost data from sim card. Recovers all deleted text messages from Inbox/Outbox folders, Drafts messages, Sent items, lost from your mobile phone sim card. Recovers Phonebook numbers, Contact names, Sender Number with Date, Time, Location and other details of your mobile phone sim card. Displays sim card IMSI number, ICC Mobile Identification number, Service provider name and other sim cards details. Select your card reader and Click on 'OK' button.